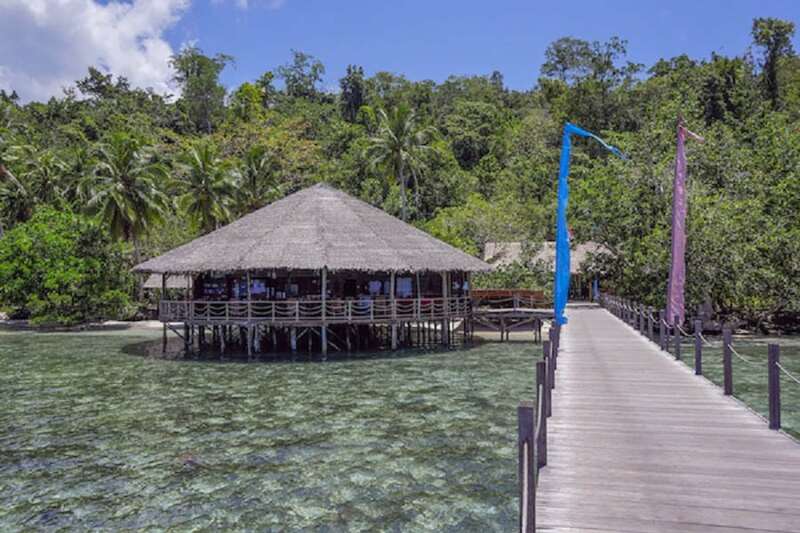 Papua Explorers Dive Resort is a 5 Star PADI dive resort, perfectly located on Gam Island in the centre of the Raja Ampat marine park, with easy access to all Raja Ampat’s signature dive sites. 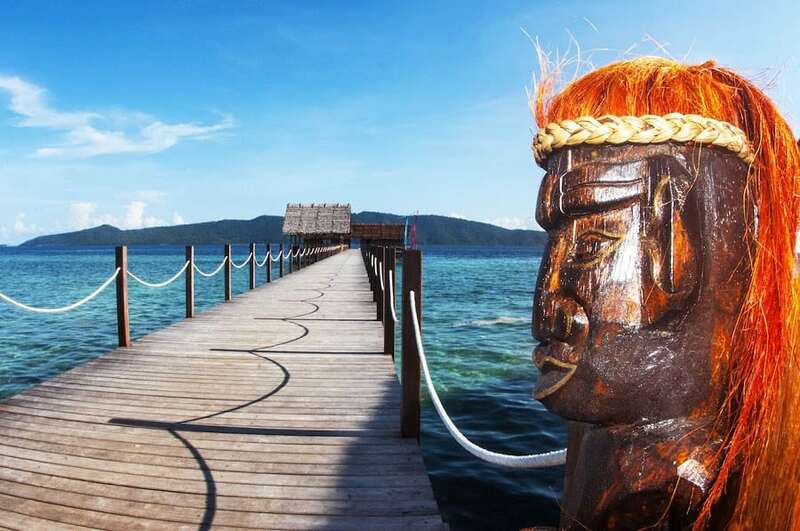 Papua Explorers Dive Resort is a divers’ dive resort, its over-water bungalows providing an exceptional setting, both remote and tranquil, to enjoy the best that Raja Ampat has to offer. 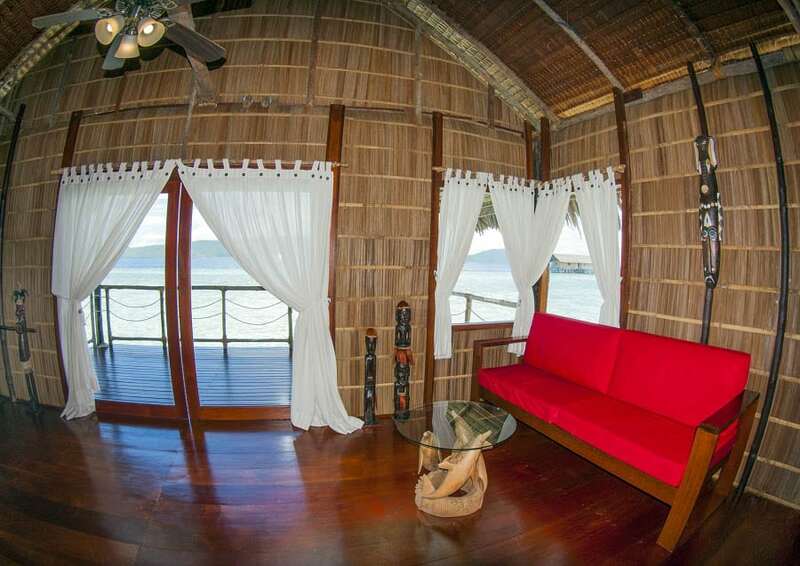 The 14 Water bungalows blend traditional Papuan style with the comfort of modern design features. 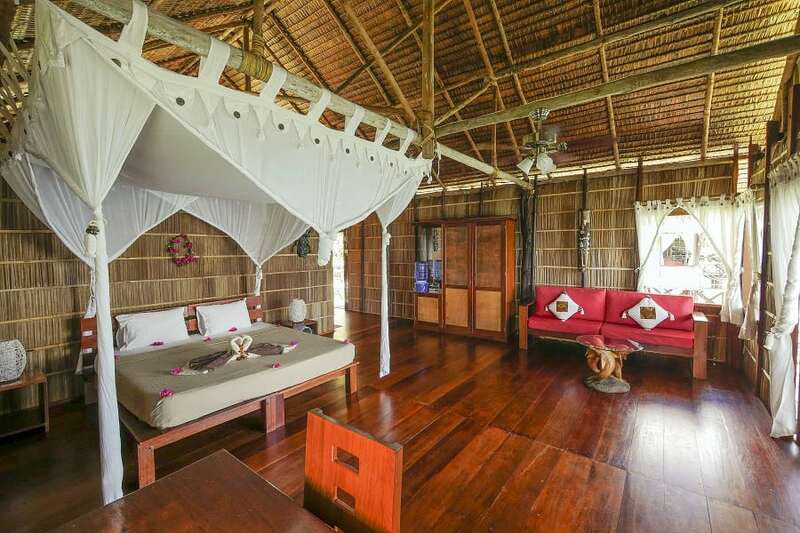 Built using local, natural materials collected from the surrounding villages, twelve of the bungalows are very spacious (72m2) with their own private veranda, and rooms that can be set up as single, double/twin or triple occupancy. Two of the bungalows are a little smaller (50m2) and suitable for single or double occupancy. 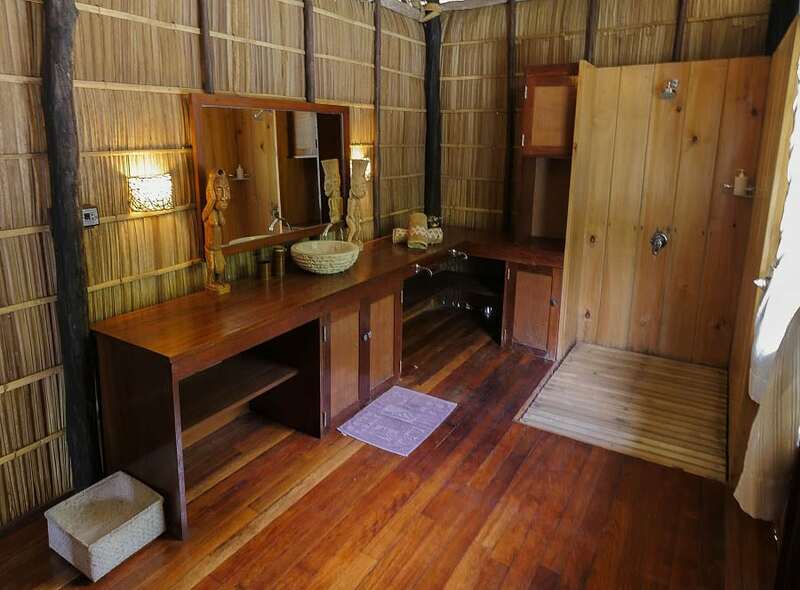 All bungalows are identically equipped with en suite toilet and shower, hot water, ceiling fan, mosquito net, working desk and a comfortable seating area. The spacious veranda with direct access to the sea by stairs, allows guests to enjoy the sun and sea in their own privacy. There are two sun lounges and a hammock on each veranda. Other room features are 24-hour electricity of 220V with European type sockets, in-room tea and coffee facilities, drinking water, towels, environmentally friendly natural soap, shampoo and shower gel. You will never miss a sunrise or sunset with the unique, round shape of the resort’s restaurant: take in the beauty of the ocean and rainforest at the same time as enjoying traditional Indonesian cuisine and international comfort food from the kitchen. You can snack here between dives and chill out in the seating area after dinner. Local tours can be arranged at reception. Bird watching is guaranteed during your stay. You wake up to the amazing sounds of tropical birds. The Red Bird of Paradise is resident at the neighboring bay. Guided kayak tours are available as well as village visits and waterfall trips. 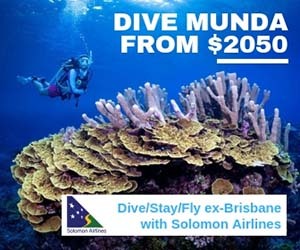 Pricing includes: Deluxe Water Cottage Accommodation with en-suite bathroom & hot water; full board basis (international buffet breakfast, lunch and dinner); Welcome drink; Afternoon tea/coffee and cakes; Internet service & WiFi; Laundry service once per week; Free transfer from Sorong airport to the resort and back on scheduled transfer days (Sundays and Wednesdays). 3 Boat dives per day (excluding arrival and departure day) and unlimited House Reef dives; includes tanks, weight belts, guide, beach towel, morning tea, coffee & snack; Free Nitrox (excluding night dives); plus 'The Passage' day trip free of charge. ➢	From/to Sorong airport, by A/C car & Resort Transfer Boat. ➢	Only applies for guest staying a minimum of 7 nights. ➢	Departure from Sorong to the resort latest at 12:00pm noon. ➢	Departure from Resort to Sorong at 6:00am, so that flights after 10:30am can be used on the day of transfer. The per person pricing above is indicative only: we show 7 night with unlimited dive packages at high-end and lower-end rooms (singles & doubles) for the purposes of comparison. We can give you a price (and availability) for any combination of nights/dives you wish to undertake, which will include any discounts due to you as part of that package, and any exclusions, or items payable at the resort. Use the [Enquiry Form] button to give us your exact requirements and we'll give you the best deal we can. 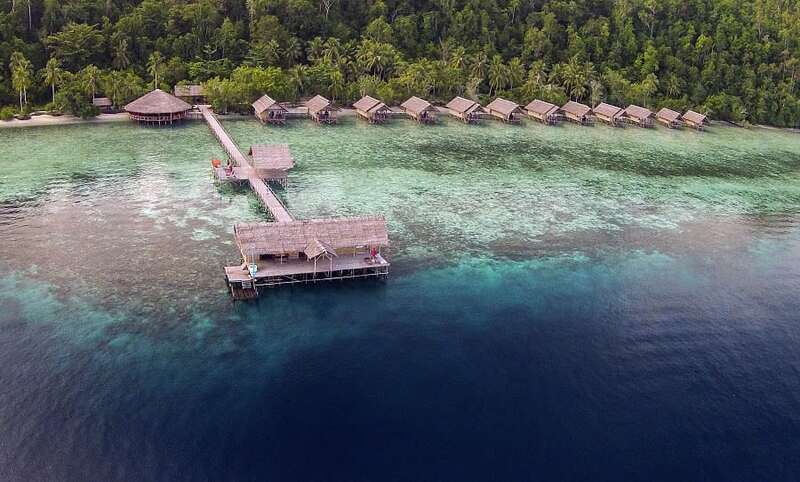 Papua Explorers Dive Resort in Raja Ampat is located on the island of Gam, about 3 hours by speedboat from Sorong, and just along the coast of the world renowned Dampier Strait, only 10 to 15 minutes away from the most famous dive sites like Manta Point, Cape Kri and many more. 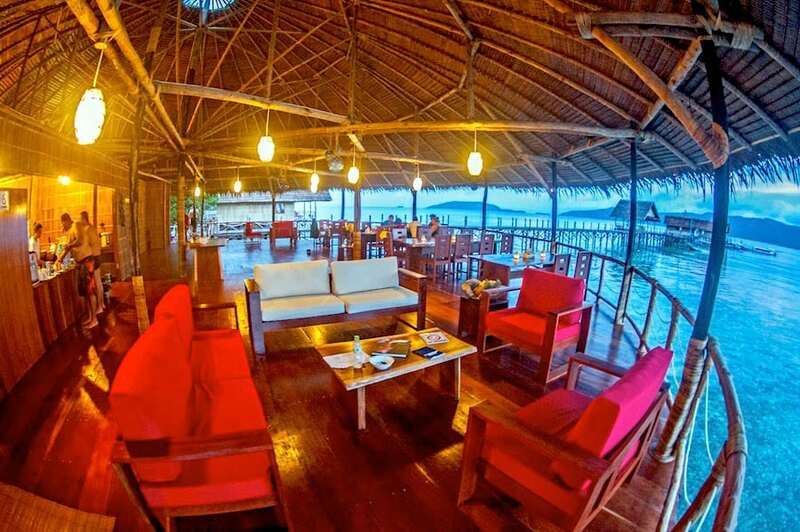 The resort can be reached from Sorong twice per week, every Sunday and Wednesday. 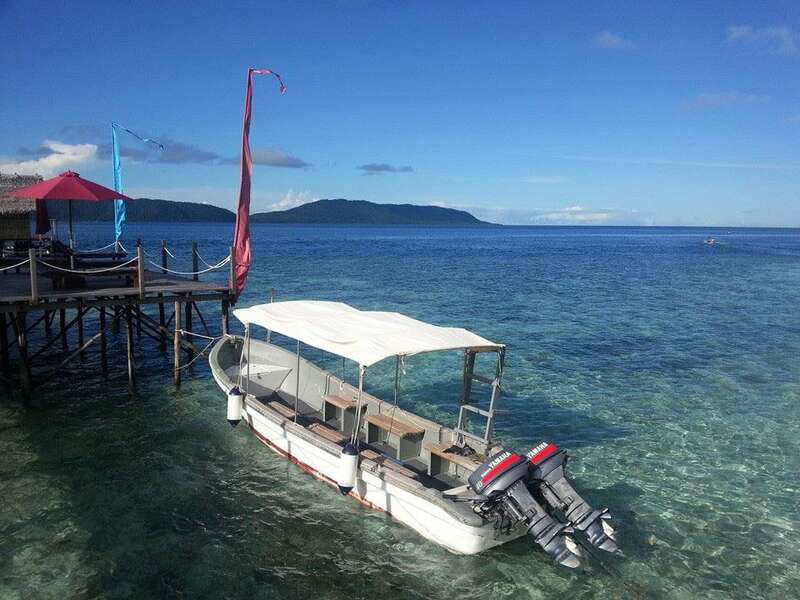 Papua Explorers Resort has scheduled transfers to the island from Sorong every Sunday and Wednesday with its own transfer boat. The boat departs Sorong latest at noon. Transfers are complimentary on the two scheduled departure days per week and when staying a min. of 7 nights. Any non-scheduled transfers attract additional fees. On arrival in Sorong airport, guests will be met by ground crew and taken to a nearby hotel for a complimentary breakfast. Guests will be at the hotel until all guests have arrived and the boat is ready for departure. 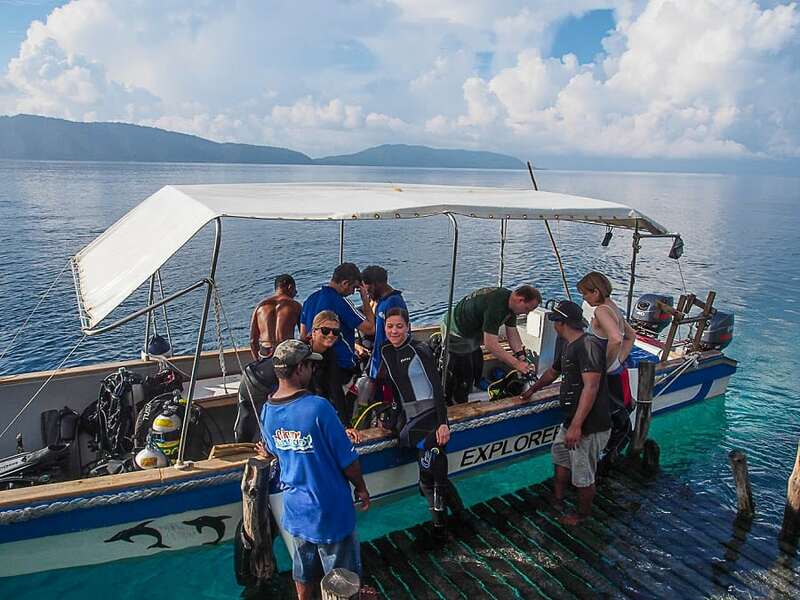 Papua Explorers Dive Resort is a 5 Star PADI dive resort, perfectly located in the centre of the Raja Ampat marine park, with easy access to all the classic dives in the area. Suited to the experienced diver, the dive centre also has a camera room for dive photographers. 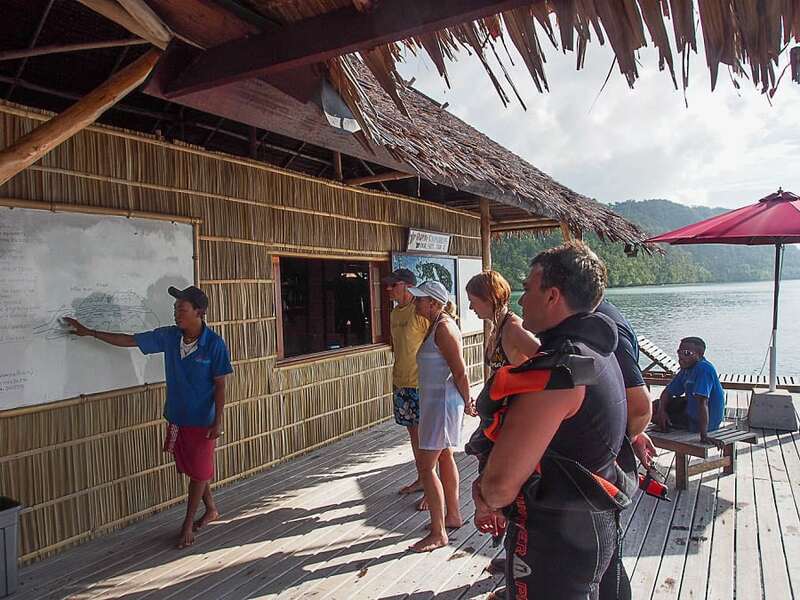 The resort has 5 dive boats, 8m to 11m in length, with a capacity of 6-8 divers per boat. Diver to guide ratio is typically 3 to 1 with a max of 4 to 1 if the resort is booked out. Nitrox (32%) is free for pre-booked dive packages, and there are no extra charges for 1 Passage and 1 Manta Point trip on pre-booked dive packages. All divers are required to bring their safety buoys and whistle. A dive computer and DAN (or similar dive insurance is mandatory). 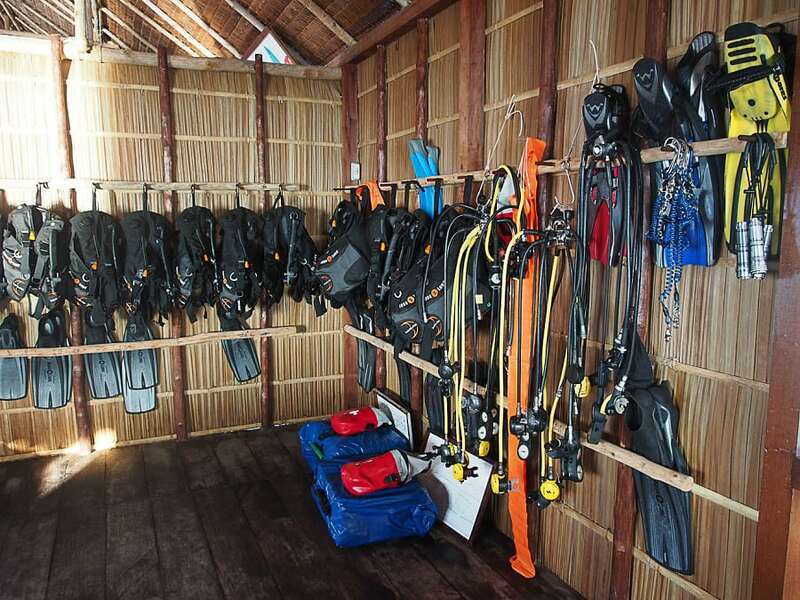 The dive crew distributes reef hooks to all divers, but the dive centre only has a small stock of rental equipment as most divers prefer to bring their own equipment. If you’d like to rent any equipment from the dive centre, advance notice must be given. 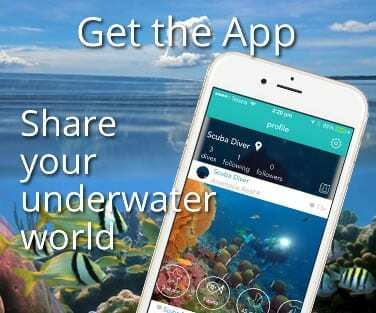 There are 3 boat dives and unlimited shore diving offered each day. The boats leave at 8am, 10am and 2.30pm and come back to the resort after each dive. Raja Ampat waters are highly rich in nutrients and Dampier Strait is especially nutrient-rich due to its fast-moving currents. These currents attract a wide variety of species including migrating mammals and pelagic species. All Raja Ampat’s famous dive sites are included in the daily dive itineraries: Manta Point; Mike’s Point; Cape Kri; Sardine Reef; Mioskon; Blue Magic; Otdima; Chicken Reef. Raja Ampat is an underwater photographers’ haven for both macro and wide-angle photography. Huge corals in vibrant colours are perfect for wide angle. Most photographers are mesmerised by the density of fish and corals and focus on wide angle photography throughout their stay. However, Raja Ampat is home to some endemic macro creatures and using your macro lens can be extremely rewarding. Any incidentals, bar bill, etc. at the resort must be paid in cash. Indonesian Rupiah, USD or Euro banknotes are accepted. Credit card payments are not accepted. There is a seasonal resort closure during June each year.